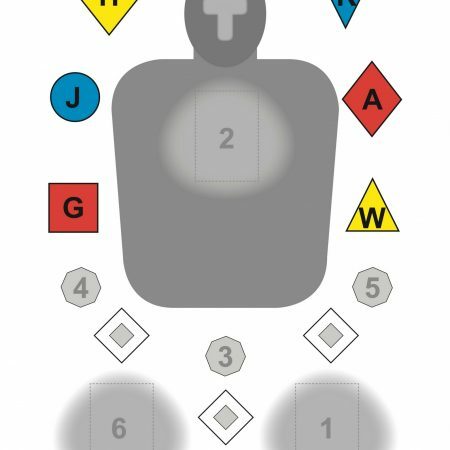 View cart “Critical Defensive Target 3-4” has been added to your cart. If you want to efficiently clean your defensive firearms to keep them in top shape and at the same time avoid harmful chemicals, BREAKTHROUGH Clean should be your solvent of choice. so that you can lean your guns more quickly with less effort. In addition, BREAKTHROUGH Clean is void of the harmful agents you find in most gun cleaners. Benzene free so you won’t be exposing your self to cancer causing fumes like with most cleaners. 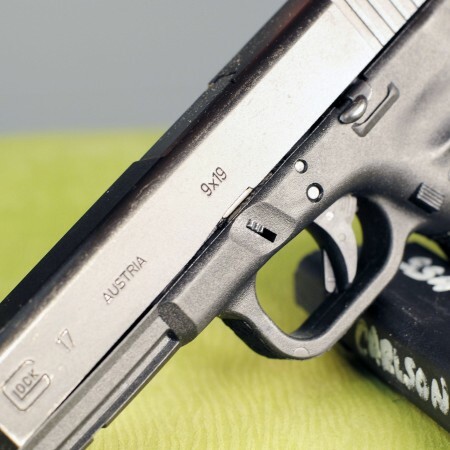 Non-corrosive and pH neutral meaning you won’t damage the finish on your valuable firearm. Non-flammable and not considered a hazardous waste so that disposal of cleaning consumables is easy and safe. BREAKTHROUGH Clean offers outstanding performance without the risks associated with typical harsh solvents. Give it a try today! 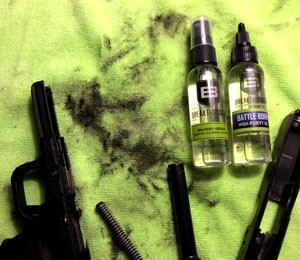 BREAKTHROUGH Clean quickly and easily removes all fouling & residue from your firearms including, brass, carbon, copper, dirt, grease and lead. Itâ€™s also pH Neutral which means itâ€™s safe to use on your firearmâ€™s metal, wood and polymers. 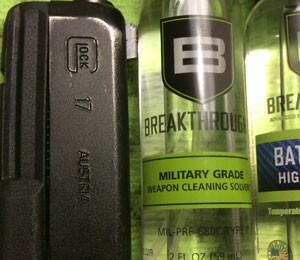 BREAKTHROUGH is the product of choice for gun owners that want to simplify the cleaning of their firearms and want a solvent that is safe to use. 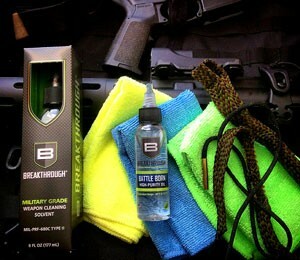 BREAKTHROUGH Clean will help to keep your defensive firearms at the ready for when you need them most. 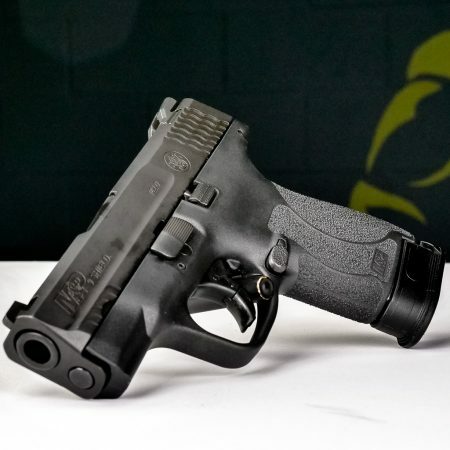 At Safety Solutions Academy, we trust the BREAKTHROUGH Clean products to keep both our rental firearms and more importantly our own, personal defensive firearms in top condition.